What you're seeing here is not a toy. It's not a movie prop. 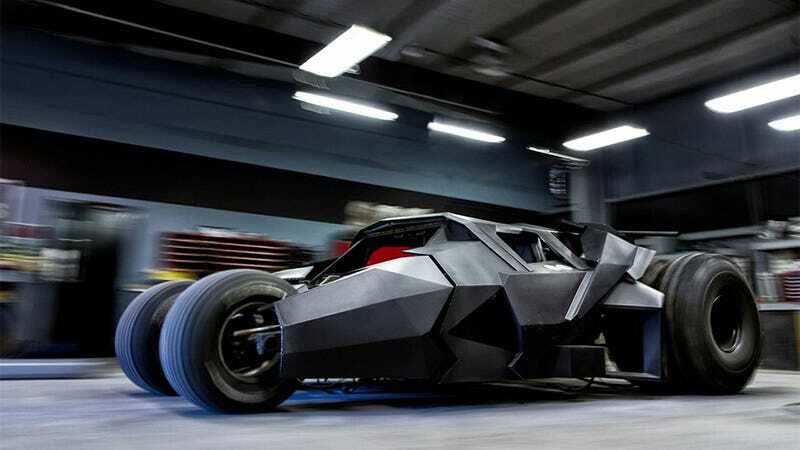 It's a custom-built Tumbler from the Chris Nolan Batman trilogy, one that not only moves, but moves fast enough it's being entered in the famous Gumball 3000 rally. Commissioned by a team from Saudi Arabia, it cost $1.6 million to put together, has a 400hp engine and can get up to 100 miles per hour. Not fast enough to win the race - which features genuine supercars - but fast enough to scare the crap out of the motorists they pass along the way.